I call textualism without proper consideration of purpose “untethered textualism” and there is considerable evidence of it in the Seventh Circuit’s recent decision in Kleber v. CareFusion Corporation, No. 17-1206 (en banc; decided January 23, 2019). In that case, the court of appeals, sitting en banc, held that the disparate-impact provision of the 1967 Age Discrimination in Employment Act (ADEA), 29 U.S.C. §§ 621, 623(a)(2), applicable to non-federal employers covers only employees, and presumably former employees, but not outside job applicants. Kleber does considerable damage to the regulatory reach of the law. Older job seekers face considerable prejudice in the job market—by employers who assume that the older worker will be less flexible, more likely to expect pay comparable to what his previous employer provided, less willing to be supervised by younger people, less mobile and less nimble than younger applicants, and further not easily dischargeable because he can bring suit under ADEA. These stereotypes have more force at the hiring stage than when the employer has experience with the worker. Although the older job seeker can still sue for intentional discrimination, such “failure to hire” suits are very difficult to win. The effect of the Seventh Circuit’s ruling is to prevent job seekers from challenging on impact grounds rules and policies that present no evidence of intentional age discrimination but create “headwinds” against the older job seeker—such as “maximum salary,” “no more than five years of experience,” and “no lateral hiring” rules that discourage even applying. Employees barred from consideration for promotion by these rules can mount a disparate-impact challenge, but not the job seeker who never previously had a position with the particular employer. The appeals court’s decision is thus difficult to square with the “evil” Congress had in mind in enacting ADEA, as set forth in the statute’s statement of findings (§ 2)—prohibiting “the setting of arbitrary age limits” making it difficult for older workers “to regain employment when displaced from jobs” and contributing to a high “incidence of unemployment, especially long-term unemployment” among older workers. 29 U.S.C. § 621(a)(1)–(3). It is also difficult to square with other provisions in ADEA itself that allow job seekers to sue under disparate impact unions, employment agencies, and federal-sector employers; only outside applicants seeking positions with non-federal employers are barred. Kleber also cannot be easily reconciled with aspects of the Supreme Court’s landmark ruling in Griggs v. Duke Power Co., 401 U.S. 424 (1971), which strongly suggest that § 703(a)(2), the provision in Title VII of the Civil Rights Act of 1964, 42 U.S.C. §2000e et seq. directly analogous to § 4(a)(2) of ADEA, authorized disparate-impact challenges even by job seekers. The class action certified in Griggs included job seekers; the Court’s decision in Griggs specifically referred to job seekers; and other Supreme Court decisions that issued prior to 1972 amendments to Title VII referred to outside job applicants as being within the group of individuals affected by the particular employer practice challenged in the case. A 1972 Title VII amendment, avowedly as a clarificatory matter, expressly added reference to “applicants” to § 703(a)(2). Congress certainly did not write a crystal-clear provision in § 4(a)(2), and when it chose in 1972 to expressly provide that § 703(a)(2) of Title VII did indeed cover job applicants, it would have been wise to do the same for§ 4(a)(2) of ADEA even though changes to ADEA were not on the agenda of the 1972 amendments. The Seventh Circuit’s majority cannot necessarily for criticized for being a bit confused, but it can be for parsing § 4(a)(2) without asking whether there was any evidence of Congress’s purpose to draw the lines where the court was drawing them. 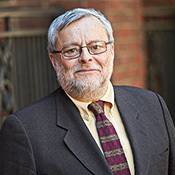 Samuel Estreicher is the Dwight D. Opperman Professor, Director, Center for Labor and Employment Law and Co-Director, Institute of Judicial Administration, NYU School of Law.